ARE THESE GUYS CHEATING? Share your thoughts please. My Guild played another Guild War, but this time the enemies score is highly suspect. 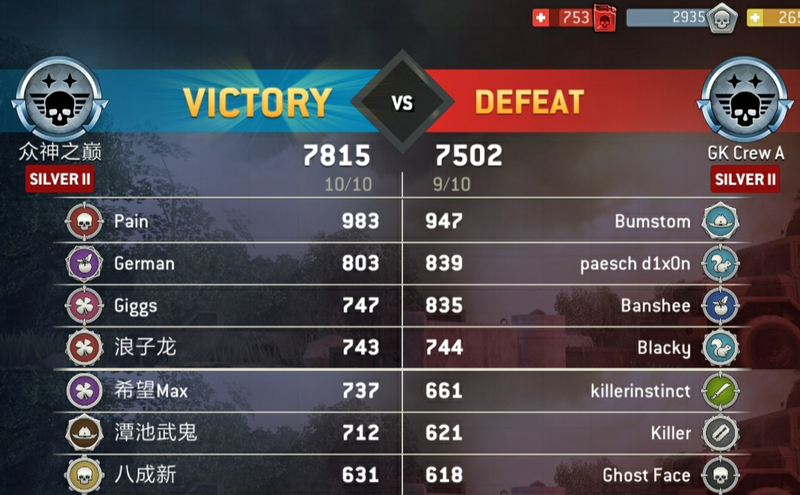 2 of the enemy team seemed to jump in score over half an hour to ridiculous amounts. 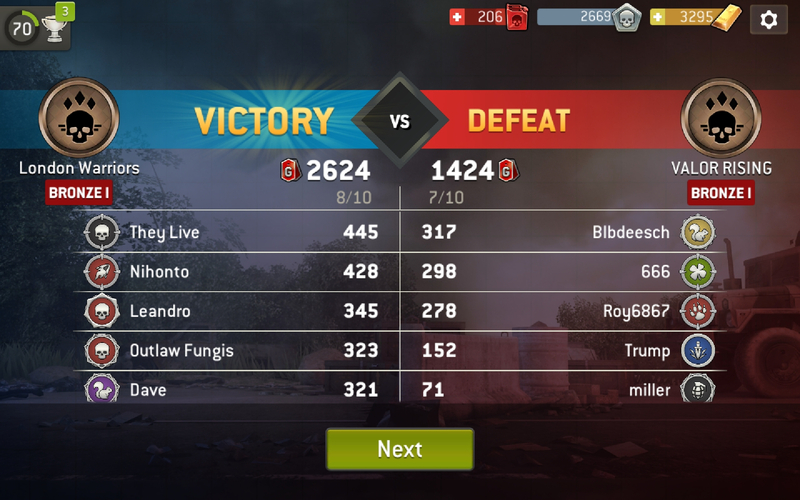 I faced their enemies, and they are in no way an Elite team, with no multiple pinks or anything. I sent all the information to NG, who gave me a weak apology about game problems with Guild Wars. 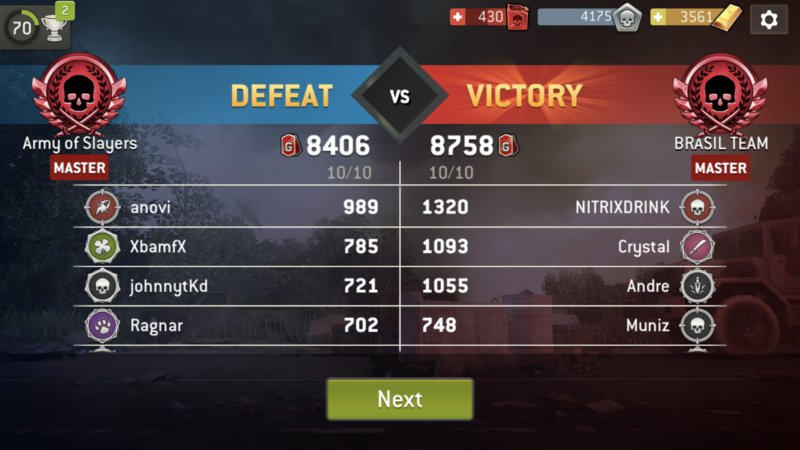 Problem i have is that there is absolutely no comebacks from NG, and these problems only compound all the others.. Two of my team mates have quit, and this is one of the reasons, i suspect. So if anyone can shed some light as to whether this seems a legit score, it would be highly appreciated. My Guild, London Warriors, lost 2 amazing players. NG have nothing to say. Also, if you score 900 per Guild War... What is everyone else doing so very wrong? I score in the 800 and 900s every war and I definitely do not cheat in any aspect of the game. I am an Outpost Master so am accustomed to speed playing with limited turns against a clock. I can clear all the GW maps, even the human enemies very quickly. My trick is that I don’t actually look at any of the loading screens. I just slam the start button as soon as it pops up and go in blind. On the “open the gate” maps I keep hitting the “end turn” button as quickly as I can. I really don’t think any of the guild you played in those screenshots were cheating. ^^ I do the same thing and can only ever manage to score in the low-mid 500's at best. Someone scoring 920 seems, unbalanced. 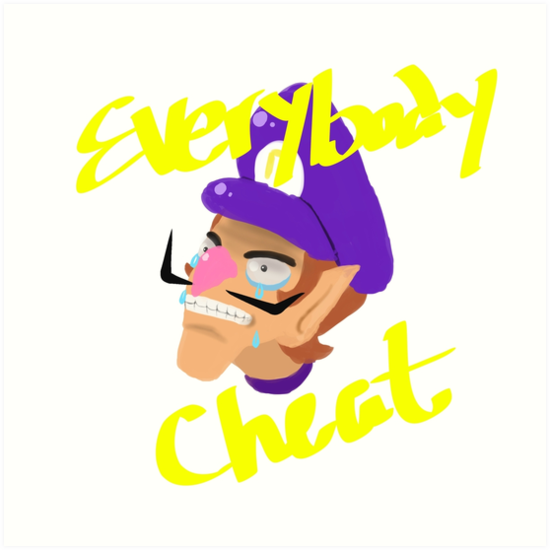 It's not cheating it's just a very fast player using a very fast (Apple/IOS) device. No switching, no strategy, 100% gold healing regardless of amount. Speed. I go as fast as I can on older Android and have only broken 600 once. But how fast are you at clearing the actual maps? It takes me a matter of seconds to clear Forest and Junkyard maps. Sanctuary takes maybe a minute. Human maps take around 30 seconds. I am taking serious speed play to get above 900, not just how fast the screen loads. Those scores seem legit to me. Highest I ever say was 1200+, and a few have topped 1000. The biggest boost for those players comes from playing on an iPhone. It can allow a good player to score several hundred more. I have a Samsung Android phone and top out in the high 600's, but with an iPhone I could score about 900. We have a couple players in the guild who can manage 900-950, so I think these are legit. Just strong survivors and a fast device. I've seen some 1200+ scores, how they do that I will never know. Ok fair enough. These are the top survivors of the questionable players. And i also do not have screenshots of the scores at 30 mins remaining, which were around 200 per player. If NG pick your best or close to it, then these are not elite teams by any standards. 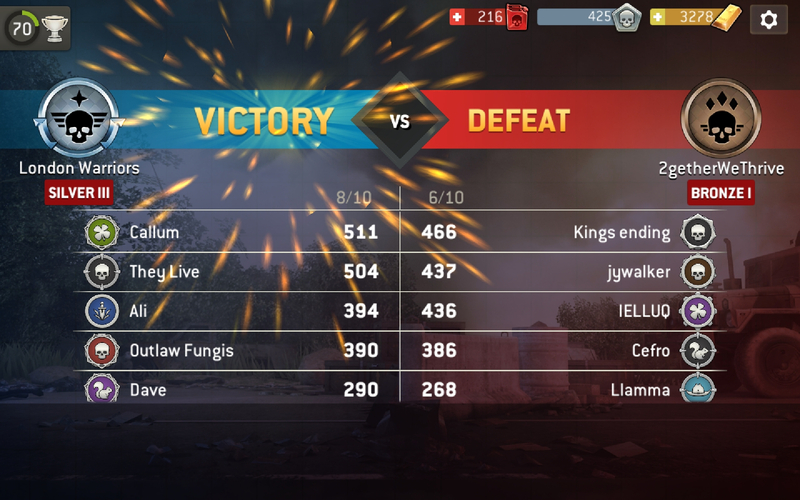 We went from 500 points ahead to a loss, which raised the flag for all 20 of my Guild mates. Still, like i said, not a witchhunt. Just suspect to me, therefore i am not here to "out" people based on my own guilds opinion. Also think it's a possibility the servers did not show their scores properly at the 30 minute mark, and it appeared at the end. 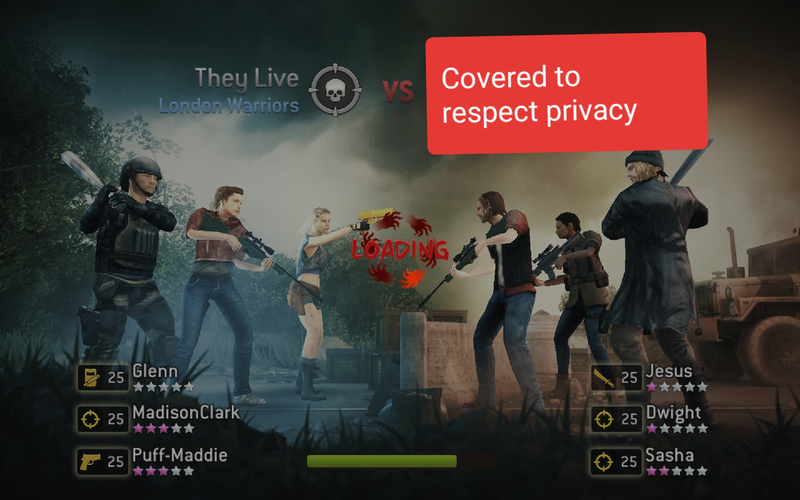 The game is definitely not choosing our “best” survivors as defenders so you can’t measure/judge based on the enemies you encounter. I am sure a 1 Pink star Tomato Glenn isn’t even close to that person’s best scout. So it's specific device/special weapons/gold wars. Seems like an even playing field! Err um, paying field. @MFJigsaw That's not an unusual score. 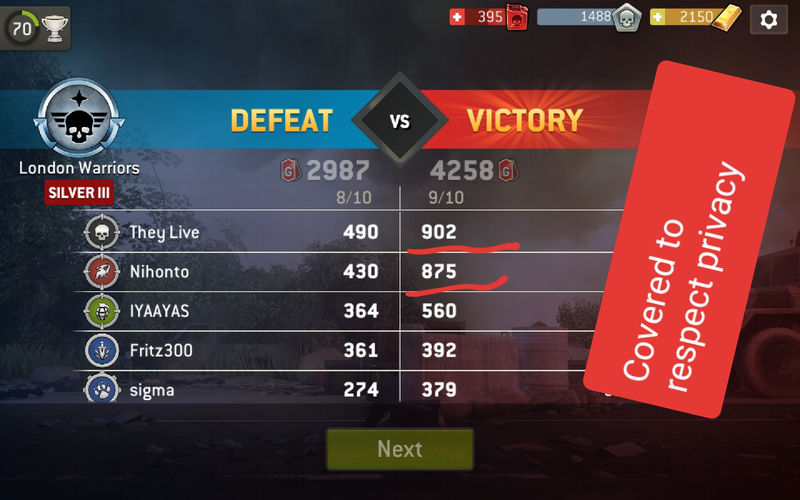 There is also no need for an elite team to achieve that score. The difference at the VP between lvl 31 and lvl 34 isn't that big (couple of points maybe?). 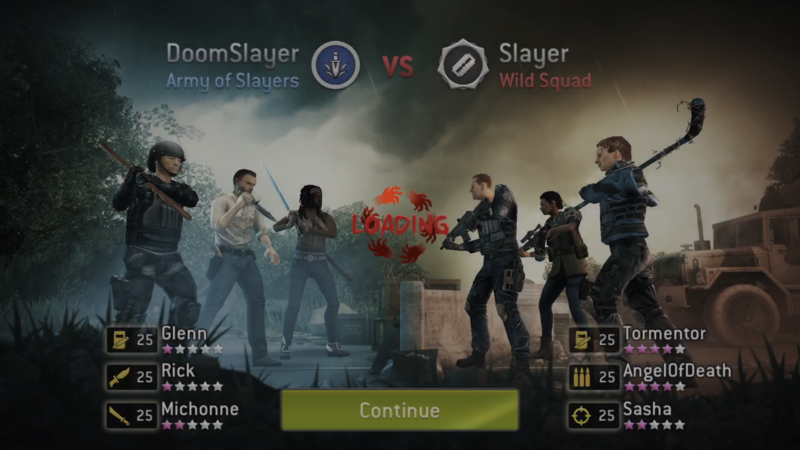 If you have a fast device and know how to play fast and what survivors to choose, that's a normal score. 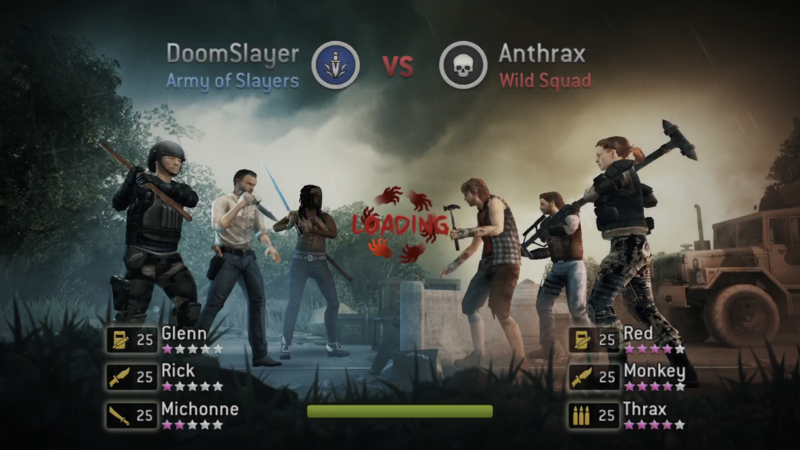 You don't need 4-pink survivors to clear lvl 33 fast. 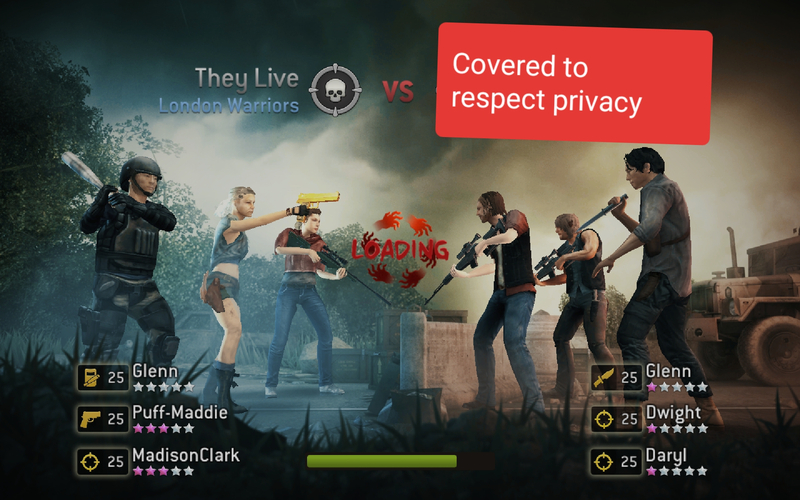 Also, the algorithm for choosing survivors is a bit weird I guess. I've seen people with 4* Glenn and double pink heroes. There is no doubt that they have a better survivor than Glenn. To be honest, I wouldn't be surprised if some folks have found some type of exploit. I know Apple ios is faster, I've tested both. It's true. 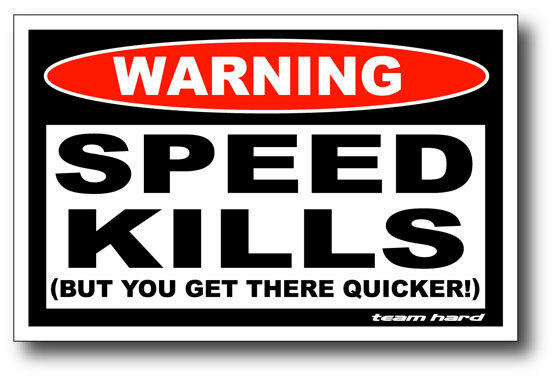 I know some players are very fast. But a couple times I've experienced this too... 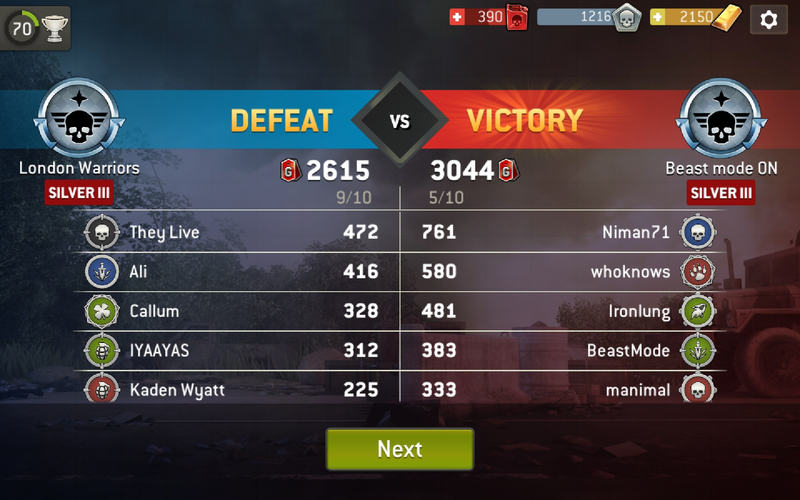 Being way ahead then a few players jump in and we lose by 1k in 15 minutes? my guess on the late score would be guilds who rather than pile into one area and finish it before moving to another they are doing multiple sections and finishing at the same time near the end of the battle. 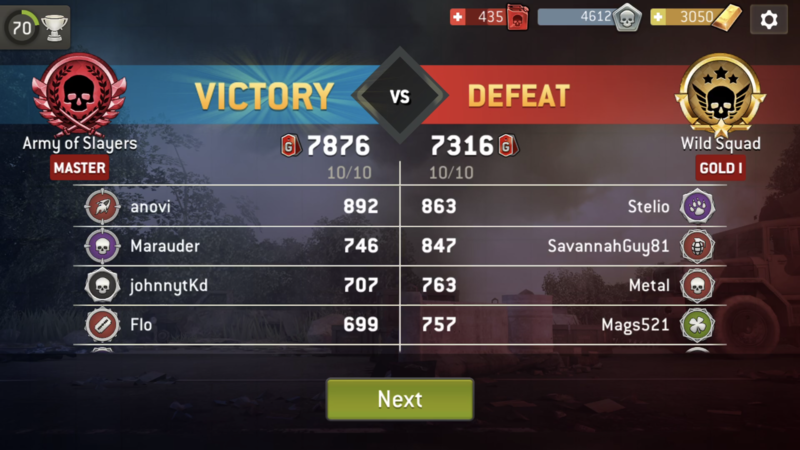 Mavericks OG got 1st place last war with 12-0 score. We have several players that score 1000+ each battle and no one cheats anything. I myself can score solid 850'ish. Guild Wars isn't about character power, as mostly maps are low level. Work it out with your team and you will see how much you can improve. 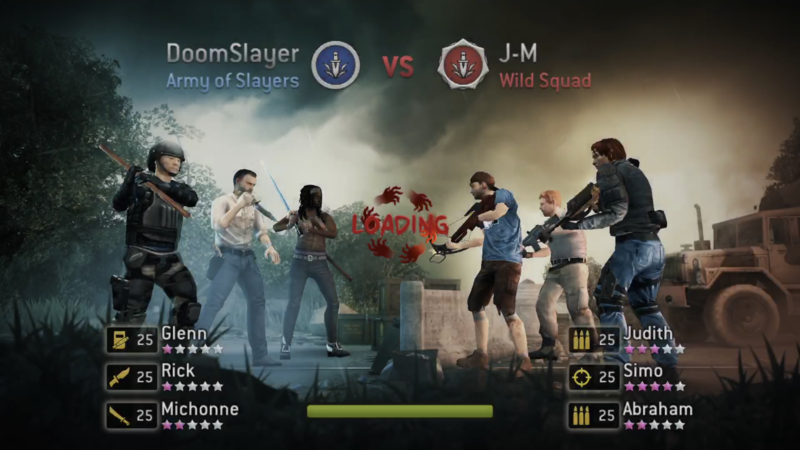 Some game play screen shots from master tier level players. When you advance in the game your competition gets crazier. Playing with my boys and girls in AOS guild. My loading times are 35 to 45 seconds combined (loading before and after a map). I feel I am staring longer at the loading screens than I am actually playing. 1300?!?! I would happily watch a 50min video of how that could be even possible! Even with no load times that seems over the top. No one in Mavericks did that but I can see it's possible. Demands iPad Pro or iPhone X, perfect team + gear and ultra fast play technique, not to mention the correct strategy. So set up a secondary camera to record the play and the player? Who needs a few more subscribers? Surely there's someone? Here's my two swords, I mean cents. I play on and Apple and I would have no problems reaching those scores if I was willing to free fire spend gold. As @SCBMA said at the beginning of the thread, it's all about getting through the maps quickly and not f*cking around with lineup or equipment changes. Is this for real - three 5 pink star heros? Melee team with 0 pink star is enough to handle the Lv.34 missions. And it will be smoother if you have pink stars. I got 200 scores higher than using a new phone with snapdragon855. There are few players close to 1000 scores in my guild,they did spend a lot of golds for healing,mostly in Lv.34 missions. The added bonus from Maggie made a fair bit of difference in these wars. I was able to get above 850 using her and an iPhone whereas I'd get 500ish using another leader and my Samsung S8. The main difference is still the device though. Loading speeds on iOS are ridiculously quicker than on Android even with a 2-3yr old iPhone. If you want to hit 1k then it's iOS or bust. @Vane, It's been known for awhile that iOS gives a big advantage on the speed. I feel like I'm competing against Apple, not other guilds. So kind of pointless in terms of guild competition from my Android perspective. It's killed any enthusiasm I started out with for GW. Just wanted to say that, no response expected.